Oil rigs aren’t all bad. 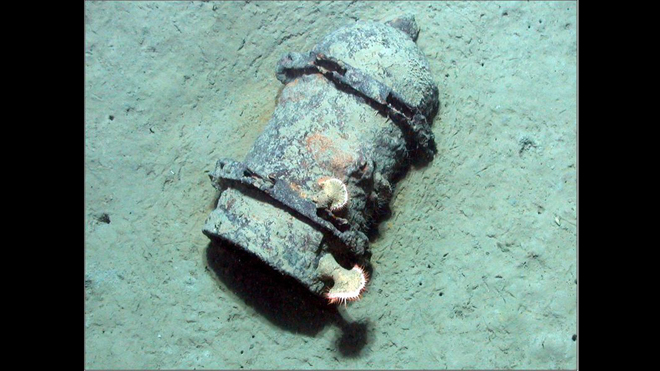 Unfortunately, when most of us think of oil rigs in the ocean, we think of the BP oil spill. 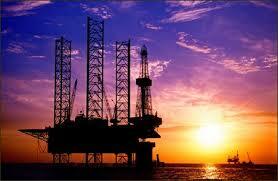 That was a tragedy, but oil rigs aren’t all bad. There’s a half hour video on a website for the Gulf of Mexico foundation showing some of the good things that come from the oil rigs. This video was made possible with a grant from Shell, but they’re up front about it. 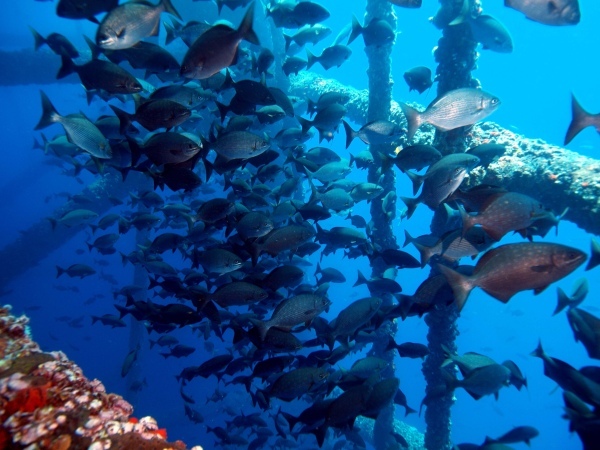 There’s lots of diving offshore in Texas thanks to the Flower Gardens, the Texas Clipper and all the oil rigs. I walked outside this morning and it looked like rain, which is rare for Texas right now, so I went inside to check weather.com and I saw on their homepage a scuba video! 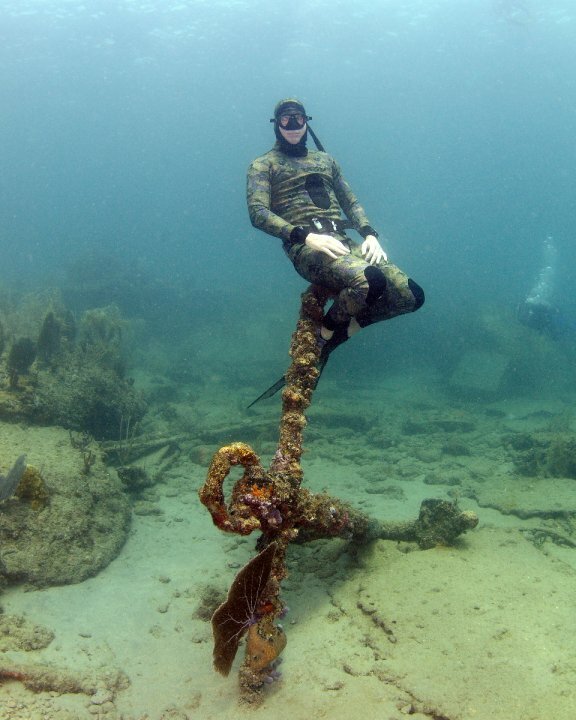 It’s great to see the artificial reef getting so much use. Besides these art exhibits, the Wreck Racing League uses the Vandenburg as one of its ships to race on with Formula H2O. 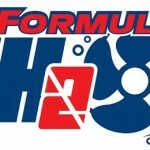 Here’s a great B’day present to me from David, the 2011 Formula H2O racing schedule. I was just thinking it’s getting nice and warm and it’s time to do some diving… This year, the races won’t just include wrecks in Florida. There’s a race in Rome, Italy. I wonder if I have enough FF points to attend that one? So, start putting the dates in your calendar and see if you can come to one of the races. On October 1-3, 2010 scuba divers will compete in underwater races around the Benwood artificial reef in Key Largo, FL. The Wes Skiles Memorial Shootout will be the 3rd stop on the 2010 Formula H2O racing circuit and will honor diving innovator and underwater photographer Wes Skiles. 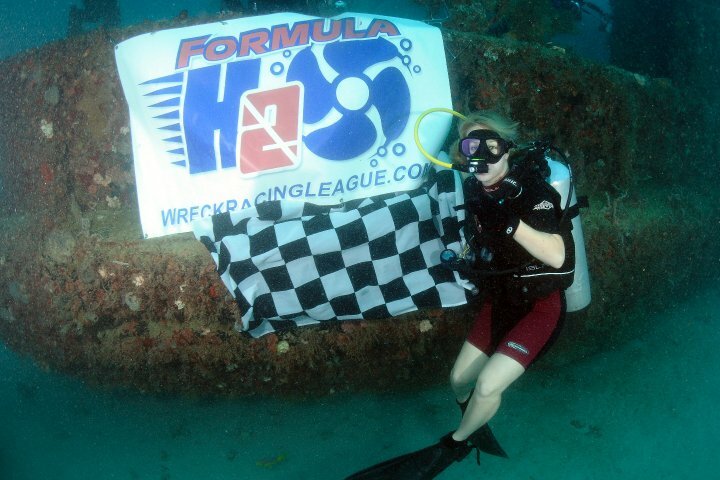 Brought to you by the Wreck Racing League, Formula H2O racing is the new action packed, underwater sport featuring divers racing around the superstructure of artificial reefs using Diver Propulsion Vehicles (DPV), or scooters. Visit the Wreck Racing League website for registration. This three day event kicks off at Shipwrecks in Key Largo, FL on Friday October 1st with the Racer’s meeting at 7:00 PM. Join the Wreck Racing League to learn about the race including rules and regulations, race course, and photo contest. The Marina Del Mar hotel will serve as the Wreck Racing League’s headquarters for the Wes Skiles Memorial Shootout and is offering special discounts for race participants until September 28th, 2010. Visit wreckracingleague.com for booking information. On Saturday, October 2nd at 9:00 AM racers and the general public will have the opportunity to attend a scooter and DPV demo event at the Marina Del Mar. Following the demo, boats will depart from Atlantis Dive Center in Key Largo for race practice and scooter test drives. Contact Spencer Slate at Atlantis Dive Center for charter information. On Sunday, October 3rd, Formula H2O racers will compete in the Wes Skiles Memorial Shootout at the Benwood wreck site. Award ceremony to follow, location TBA. Race participation and test drives are open to anyone over the age of 18. Spectators of all ages are welcome at all events to cheer on the racers. 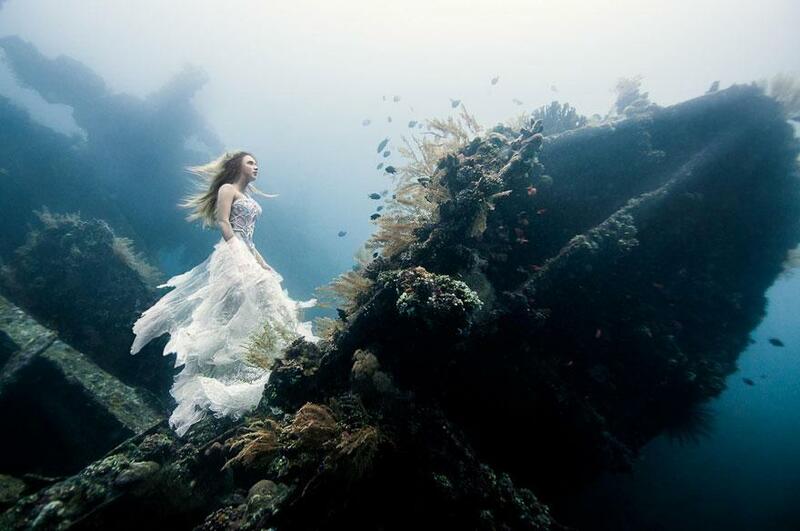 To honor Wes Skiles and his passion for underwater photography the Wreck Racing League and Formula H2O presents a photo and video contest to challenge and inspire underwater photographers. See wreckracingleague.com for contest rules including, formatting, uploading, and voting. Please visit the race website at wreckracingleague.com for registration and more information. All interested DPV manufacturers or distributors, as well as anyone interested in competing or participating in this event, should contact Natalie Oriente at (239) 464-5932 or natalie@wreckracingleague.com. 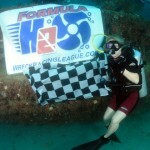 I’ve finally editing together Day 1, the practice day for the Formula H20 Underwater Grand Prix in Ft Lauderdale, Fl. We got up really early and headed out to the boat. The great thing about the Tracy is it’s only a short ride out and you can get a beautiful view of the Florida coastline from the boat. After the initial dive in 70ft of water, we headed off to do a shallow dive on the wreck of the Copenhagen. Here, everyone just played around, checking out the fish, playing with the scooters and got some great fun underwater photography in. At this point I was so relaxed, I thought if I saw a shark, I might be ok with it. Just then, a see something grey and graceful in the distance…. 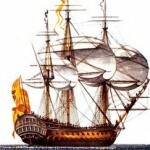 Then, I realize it’s one of the freedivers. They are so beautiful to watch in the water. They just glide along, no scuba gear to weigh them down. I was amazed at how they just played underwater, almost like seals. After the race, everyone headed back to the hotel, where they had a meeting to discuss the logistics of the actual race. Everyone gave their thoughts and experiences of the practice race and how it could be improved for the following day. There was going to be a lot of people in the water. About 20 racers, plus a plethora of camera people. There was also going to be a bunch of spectators and there was a big concern about diver safety and making sure nobody got hurt. After everyone was done, Dean Vitale and David Ulloa played it up to the cameras for a Discovery Channel Canada film crew who were doing a piece on the race. Everyone was pretty exhausted by this stage, so most people headed off to relax. I had never been to Ft Lauderdale before and I wanted to see what was out there, so I recruited Natalie Weatherby, who’s with the Wreck Racing League and David Valaika, who’s the President of the International Association of Handicapped Divers to head out to dinner. As we headed south on A1A, it started pouring down rain. There was non stop lightning and the roads were covered in water. But hey, we’re divers, we’re used to water. So we hit up Shooters, which had a nice outdoor patio and we enjoyed some down time. We couldn’t stay out too late though, we had to be up and at the boat by 7am…. 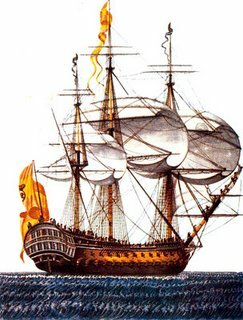 David Ulloa and I had just surfaced from the practice race around the wreck of the Tracy, off the coast of Ft Lauderdale, Florida. 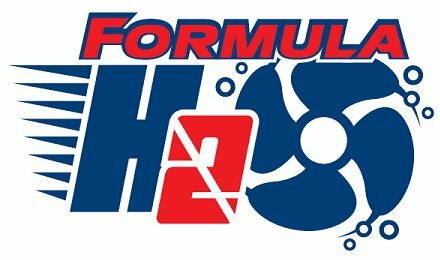 I got him to explain what Formula H2O is, and why he’s participating. I came down to Ft Lauderdale to do some scuba diving and watch the second race in the Wreck Racing League, the 2010 Gold Coast Underwater Grand Prix in Pompano Beach, Florida. David Ulloa, also know as the Shark Whisperer won first place in the expedition class. I’m headed back to Texas tomorrow and I’ll start uploading video!